We always intended to open a business in Clarksville…we had hoped, however, to wait a bit and get a lot further along on our major house project. Five years was the goal…putting that somewhere around late 2013. 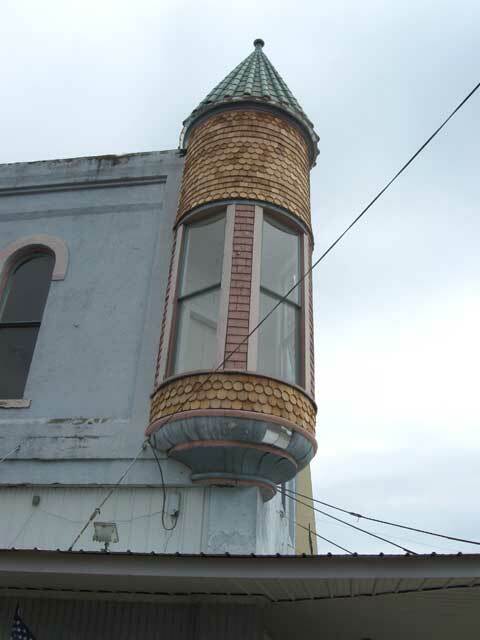 The old building, with its distinctive cupola or tower, was put up for sale and we just couldn’t resist. Our house has a tower, the building has a tower, we wanted a business anyway, how could we resist this gorgous building? The price was right, the details were hammered out, and presto, in December 2009 we were the proud new terrified owners of this building. We plan on putting in a combination coffee house, ice-cream store, and bookstore. This will also serve as the global headquarters for Stormrider Press. Opening the coffee house is sometime away, as there are budgetary limitations and we need to get more done to our house first. 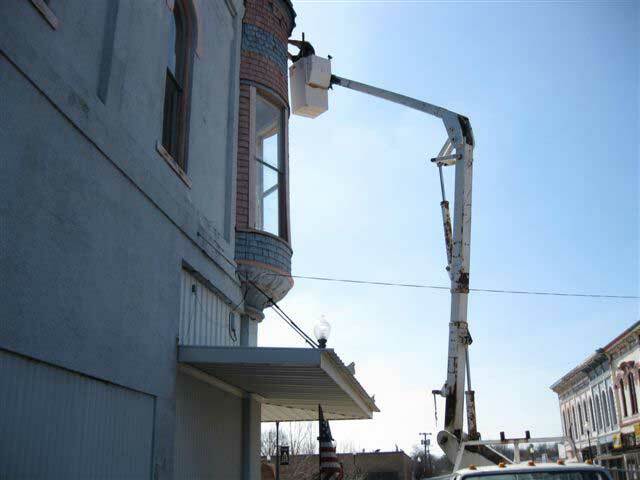 There is also work to be done on the building itself before we open. 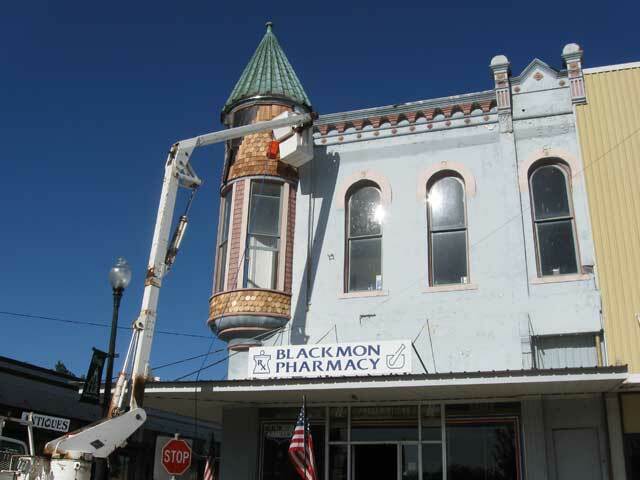 We have already done substantial repair to the Cupola…much of our work documented here. We replaced the decayed cedar shakes with new. It should last another hundred years or so. Yeah, that’s me in the bucket. We do most of our own work. We expect to finish the trim and paint it this fall.